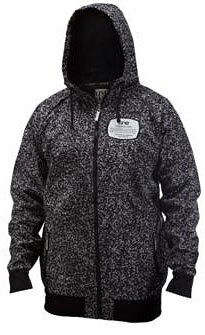 The 2013 Line Influence Full Zip Hoodie is a high tech hoodie with a sublimated graphic that'll have you thinkin' about your sophomore english teacher and your next journal assignment. Ya it looks just like the cover of a the standard composition notebook. But the Line Influence doesn't just look good, this guy is weather proof and warm. Winterized!